We are currently updating our business contact list for Forsyth businesses. This allows us to be able to contact keyholders, owners, managers, etc. of local businesses when buildings are found unsecured, suspicious activity is occurring or the business is criminally victimized. If an officer has not contacted you recently regarding obtaining contact information, please notify the Forsyth Police Department at your convenience and we'll ensure your business is placed on our list. This department is investigating some recent burglaries and at least one attempted burglary from various neighborhoods in Forsyth. 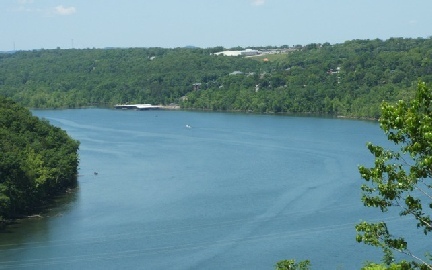 All occurred during daylight hours and within view of other homes. If you have any information about suspicious activity in your neighborhood, or if you know something about any of the aforementioned burglaries, we would appreciate any information you can provide. Please contact us at 417-546-3731, you may remain anonymous if you choose. Thank you! 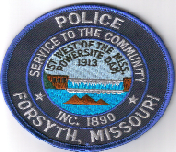 The Forsyth Police Department is dedicated to being involved in the community and its events. If you have an event planned in the future within the City of Forsyth and would like law enforcement assistance or presence, call 417-546-3731.